Dr Wei Min Huang is currently an Associate Professor at the School of Mechanical and Aerospace Engineering, Nanyang Technological University, Singapore. He has 20 years of experience on shape memory materials (alloy, polymer, composite and hybrid), and has published over 100 papers in journals, such as Advanced Drug Delivery Reviews, Materials Today, etc, and has been invited to review manuscripts from over 100 international journals (including Advanced Materials, Advanced functional materials, etc), project proposals from American Chemical Society, Hong Kong Research Grants Council, etc, and book proposals. He has published two books (Thin film shape memory alloys – fundamentals and device applications, Polyurethane shape memory polymers) and is currently on the editorial board of a dozen of international journals. Shape memory materials; shape memory technology; sensors and actuators. Wojciech J. Stępniowski’s research interests are focused on fabrication, characterization and applications of anodic aluminum oxide (AAO). One of the major activities of the research is finding new operating conditions for anodization of aluminum, leading to the hexagonally arranged nanoporous arrays formation. Additionally, the research are also focused on the incorporation of various anions into the AAO, what allows to form hybrid luminescent materials. Also various tools, employing i.e. fast Fourier transform (FFT) to quantify the arrangement of AAO are being applied. Shin-ichi Yusa is a native of Japan and received B.S. (1993) and M.S. (1995) degrees in polymer chemistry from Osaka University under the direction of Professors Mikiharu Kamachi and Yotaro Morishima. He received a Ph.D. from Osaka University (2000) for a thesis entitled: “Synthesis of Cholesterol Bearing Polymers and Their Self-Assembling Properties.” He joined Himeji Institute of Technology as an assistant professor in 1997. He became associate professor of University of Hyogo (2008). His research interests are in controlled radical polymerization and characterization of water-soluble polymers. He is currently on the editorial board of Polymers (MDPI Publishing), E-Journal of Chemistry (Hindawi Publishing), Open Journal of Polymer Chemistry (Scientific Research Publishing), Dataset Papers in Chemistry (Hindawi Publishing), Academic Editor of International Research Journal of Pure and Applied Chemistry (Sciencedomain international), and Nanocontainers (Versita). Controlled/living radical polymerization, RAFT, TERP, water-soluble polymer, self-organization, polymer micelle, and bioconjugate polymer. 2007-2011 research on applied HTc superconductivity – in cryocables and related electromagnetic phenomena – ac losses, critical current, influence of bending strain and nano-scale defects on critical current, teaching in the Ph.D. course in Electrotechnical Institute. Author of more than 300 papers, printed in various scientific national and international journals or communications presented on Conferences devoted to the superconductivity subject. Author of three books in polish language: Superconductivity and applications Superconducting materials modelling and applications, Superconducting cryocables. Dr Tran is currently a Senior Research Engineer at the National Energy Technology Lab of the US Department of Energy and an Adjunct Professor of Thermal Sciences of the Department of Mechanical Engineering and Material Science of the University of Pittsburgh. His research and teaching during the past 25 years have been mainly in the areas of combustion, laser ignition, laser ablation, nanomaterials, nanofluids and nanofuel slurries. He has published more than 100 journal papers and served as a member of the editorial board of various international journals. Mohamed Khayet is Director of the University Complutense of Madrid (UCM) Research Group: “Membranes and Renewable Energy” affiliated to Campus Moncloa of International Excellence. Associated Researcher in the Institute IMDEA Water, IMDEA Madrid Institute for Advanced Studies. Ph.D. in Sciences Physics in 1997 (University Complutense of Madrid). He is professor of Thermodynamics, Statistical Physics, General Physics and Renewable Energy Applications at the Department of Applied Physics I, Faculty of Physics, University Complutense of Madrid (UCM). He is an expert on membrane science and technology (Membrane design and fabrication by different techniques, membrane processes including membrane distillation, MD; emerging technologies), renewable energy applications (solar thermal and photovoltaic energy) and water treatment (Desalination, wastewater treatment, etc.) among others. He has coordinated various national and international projects funded by different institutions (EU, Middle East Desalination Research Center, Spanish Ministry of External Affaires, Abengoa Water, etc.). He is currently coordinator of the EU project TEMPUS (Solar Energy System Design using Advanced Learning Aids, 2012-2015). He participated in other national and international projects. He contributed a substantial number of articles (more than 100 papers since 2000) on the subject of membrane science and technology to various international refereed journals (H-index 31). He filed 3 International Patents on the fabrication of novel membranes for desalination by Membrane Distillation (MD). Recently, he published 2 books: “Membrane Distillation: Principles and Applications, Elsevier (2011)” and “Membrane Modification: Technology and Applications, CRC Press, Taylor & Francis Group (2012)”. He is also author of other two books and various chapters in books. He supervised various research studies (Ph.D. thesis, master and undergraduate students). He is member of the European Desalination Society (EDS), the European Membrane Society (EMS), the North American Membrane Society (NAMS), and the Royal Spanish Society of Physics (RSEF). He has delivered many oral presentations at international conferences on membranes and membrane processes. He gave various seminars in national and international Universities and organized seminar cycles. He is actually member of the editorial board of the Journals: “Desalination”, “Applied Membrane Science & Technology”, “Membrane Water Treatment (MWT)”, “Membranes”, “Polymers”, “Journal of Membrane Science and Research”, “Applied Sciences” and Journal of Materials Science and Nanotechnology. He received the Prince Sultan Bin Abdulaziz International Prize for Water (PSIPW) 5th Award in 2012 on Alternative Water Resources (Saudi Arabia) for his novel and creative work membrane distillation technology that he has studied and promoted in all its theoretical and experimental aspects (from membrane synthesis to implementation). Design and fabrication of smart membranes, nano-fibrous membranes, hollow fibers, nano-composites, thermal conductivity of nano-fluids, Transport phenomena through dense and porous media, Solar energy, Separation processes through membranes, Thermodynamics properties of solid surfaces, polymers, Theoretical models and optimization using artificial neural networks and response surface methodology. Dr. A. Murugadoss has completed Ph.D and Currently he is working as a Assistant Professor at University of Madras (Guindy Campus), India. Dr. Yangwei Liu received his B.S. and M.S. in Biomedical Engineering from Southeast University (China) and M.S. in Applied Science from College of William and Mary. He got his Ph.D. in Chemistry from Georgetown University in 2016 and currently work in Radiopharmaceutical and Chemical Industry as a R&D Chemist. His areas of expertise include radiopharmaceuticals, medical imaging agents, implant materials, fuel cells, colloidal metal nanoparticles, polymers, surfactant micelles, and proteins. Dr. Yangwei Liu research interest focus on Colloidal metal nanoparticles, radiopharmaceuticals, PET/CT medical imaging, titanium implant materials, electrospinning polymer nanofibers, fuel cell catalysts. Dr. Shripriya Darshini Poduri has completed Ph.D at in Electrical & Computer Eng at University of Illinois. Currently she is working as an Assistant Professor at University of Illinois. Dr. Lili Wang has completed B.S. in Materials Chemistry at Fudan University and also she has completed Ph.D. in Materials Chemistry and Physics at Shanghai Institute of Ceramics, Chinese Academy of Science. Currently she is working as a Research Associate at Michigan State University. Dr. Lili Wang research interest focus on photovoltaic solar cells, LED, nanomaterials, quantum dots, specialty coating, thin film deposition, and epitaxial growth of semiconducting materials. Dr. Radenka Maric is a Professor of Sustainable Energy at the University of Connecticut. She received her Ph.D. in Material Science and Energy in March 1996 from the Kyoto University, Japan. Dr. Maric joined the University of Connecticut in 2010. Before joining the University of Connecticut, Dr. Maric was a Group Leader and Program Manager at the National Research Council of Canada’s Institute for Fuel Cell Innovation (2004-10) and an Adjunct Professor at the University of British Columbia, Vancouver (2008-10). Earlier in her career, she was a Program Manager at nGimat (formerly MicroCoating Technologies, 2001-04) and a Senior Scientist and Team Leader at the Japan Fine Ceramics Center, Nagoya, Japan (l996-01). Dr. Maric has published more than 150 scientific papers in the fields of nanomaterials processing, thin film deposition, material coatings, fuel cells and batteries. Her current research interests lie in fundamental understanding of the effect of structure, defects, and microstructure on transport and electrical properties of surfaces and interfaces. 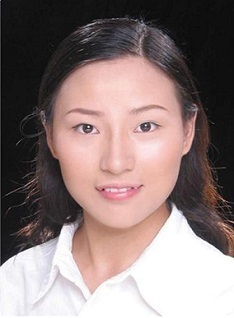 She has developed various atomization methods for thin film and nanoparticles generation, including aerosol synthesis, high-energy mechanical milling, sonochemical synthesis, self-propagating high-temperature synthesis, sol-gel and flame based processes. Dr. Mar was awarded a Visiting Professor fellowship in 2012 from the Tokyo University of Science. She also serves on many national and international scientific committees. Fundamental understanding of the effect of structure, defects, and microstructure on transport and electrical properties of surfaces and interfaces. Dr. Jian-Gang (Jimmy) Zhu, a Fellow of IEEE, is the ABB Professor of Electrical and Computer Engineering at Carnegie Mellon University. He is also the director of the Data Storage Systems Center, a world-leading research institution in hard drive technology. He also holds Professorship in the Department of Material Science and Engineering and the Department of Physics at CMU. He is also the co-director of the new SYSU-CMU Joint Institute of Engineering, a joint effort between Carnegie Mellon University and Sun Yat-sen University in China. He was the Cheung Kong Chair Professor in Huazhong University of Science and Technology, China from 2006-2008. He served on the editorial advisory board of Journal of Magnetism and Magnetic Materials from 1998 to 2008. Dr. Zhu received his B.S. degree in physics from Huazhong University of Science and Technology, China in 1982 and his Ph.D. in Physics from University of California at San Diego in 1989. Prior come to Carnegie Mellon in 1997, he had been a faculty member in the Department of Electrical Engineering at University of Minnesota from 1990-1996. Some of the awards that Dr. Zhu has received include the McKnight Land Grant Professorship from University of Minnesota in 1992, the NSF Presidential Young Investigator Award in 1993, the R&D Magazine Top 100 Invention Award in 1996, IEEE Magnetic Society Distinguished Lecturer in 2004, Carnegie Mellon University Outstanding Research Award in 2010, and most recently, IEEE Magnetic Society Achievement Award, the highest award of the IEEE Magnetic Society, in 2011. He also received Sigma Excellent in Teaching Award in 2012 He has authored and co-authored over 280 refereed papers in major international journals along with seven book chapters and has given over 80 invited papers at various major international conferences. He holds 18 U.S. patents. Kambiz Vafai is an internationally leading figure in the fields of heat and mass transfer and fluid mechanics. He received his B.S. degree in Mechanical Engineering from the University of Minnesota, Minneapolis and M.S. and Ph.D. degrees from the University of California, Berkeley. Dr. Vafai is a Fellow of the American Society of Mechanical Engineers (ASME, since 1992), Associate Fellow of American Institute of Aeronautics and Astronautics (AIAA, since 1998), Fellow of World Innovation Foundation (since 2003), and he is a Fellow of American Association for Advancement of Science (AAAS, since 2002) and has been a member or the chair of over fifteen ASME and AIAA National committees. He is currently the Director of Online Master-of- Science Program in Engineering at UCR. Jeffrey J. Weimer has a joint appointment as an Associate Professor in Chemistry and in Chemical & Materials Engineering and is an adjunct faculty to the Materials Science program at the University of Alabama in Huntsville. He received his Ph.D. in Chemical Engineering from Massachusetts Institute of Technology in 1983. He continued with a postdoctoral position in the Physics Department E20 at the Technical University in Munich until 1984 and worked until 1986 at the Laboratory for Materials & Surface Science at the University of Maine (Orono). He completed a research fellowship at the Fritz-Haber Institute in Berlin until 1990. He has published more than 40 peer-reviewed articles, been a contributor to over 50 conference proceedings, and chaired a symposium on interface phenomena. Adhesion phenomena, surface functionalization, thin films, biomaterials, surface characterization, and, more recently, quantum dots. Dr. Xin-Lin Gao is currently a professor of mechanical engineering, bioengineering, and materials science and engineering at the University of Texas at Dallas (UTD). His other experience includes teaching at Texas A&M University for 7 years, Michigan Tech for 4 years, and working at the Air Force Institute of Technology and the Air Force Research Laboratory for about 2.5 years. In addition, he was a visiting professor at University of Paris-East and has been a visiting chair professor at East China University of Science and Technology. He earned an M.Sc. degree in Engineering Mechanics in May 1997 and a Ph.D. degree in Mechanical Engineering (with a minor in Mathematics) in May 1998, both from the University of Wisconsin-Madison. He has conducted research in a variety of areas in mechanics, materials, design, and manufacturing and has published 95 journal papers, 2 book chapters, and 108 conference and other publications. His research has been funded by NSF, AFOSR, AFRL, Army, DOE, and industries. He has been a PI or Co-PI of funded research projects worth about $9.5 M. He has been a reviewer for 88 journals, 8 publishers and 14 funding organizations and has organized 21 symposia at major national and international technical conferences. He has been an editor/guest editor of one book, proceedings of one conference, and four special journal issues. He currently serves on the editorial boards of five journals. He was elected an ASME Fellow in January 2011. Dr. Jianrong Qiu was born in Ningbo, China in 1964. He graduated from Northwest Institute of Light Industry in 1983, and got Master Degree on Engineering from Wuhan University of Technology in 1986. He received PhD degree from Okayama University, Japan in 1992. From 1994-1999, he was a chief researcher in the Hirao Active Glass Project, Japan Science and Technology Corporation. From 1999 to 2000, he was a research associate of the Department of Applied and Engineering Physics, Cornell University, USA. He was a research group leader of the Photon Craft Project, Japan Science and Technology Agency from 2000-2004. From 2005, He became a full professor of the Department of Materials Science and Engineering, Zhejiang University, China. He is now Chair Professor of Cheung Kong Scholars Programme and Director of Research Center for Laser and Photonic Materials and Devices, South China University of Technology, China, and vice Director of the State Key Laboratory of Luminescent Materials and Devices, South China University of Technology. He is also the fellow of the International Glass Commission, vice Chairman of Photoelectronic Glasses Branch, the Chinese Ceramics Society and Associate Editor (or International Advisory Board Member) of the Journal of the Chinese Ceramics Society, Asian J. Ceram. Soc., Int. J. Appl. Glass Sci., and J. Non-Cryst. Solds. He has published more than 400 papers in international peer-reviewed journals, and has SCI citation more than 6000. His H factor is 40. He received several awards including Adachi Award from the Rare-earth Society of Japan (1999), Otto-Schott Research Award from the Ernst Abbe Fund (2005) and Academic Award from the Ceramics Society of Japan (2007). Laser interaction with matter, photonic materials especially glass, glass ceramics and luminescent nanomaterials. Dr. Jeong-Bong Lee received the B.S. degree from Hanyang University, Seoul, Korea in 1986 and M.S. and Ph.D. degrees from Georgia Tech, Atlanta, Georgia in 1993 and 1997, respectively. He is currently a tenured full professor in the Department of Electrical Engineering at The University of Texas at Dallas. His current research interests include MEMS, nano photonics and biomedical micro devices. He received the prestigious National Science Foundation CAREER AWARD in 2001. He has 5 U.S. patents, more than 56 journal papers, more than 145 conference papers published and got more than 1,750 citations. He has served as a program committee member for international conferences including Transducers 2013, 2011 Conference, IEEE Sensors Conference. He also served as a member of external advisory board for the Microsystems division at the Sandia National Laboratories in 2007. He is currently serving as an editorial board member for Micromachines Journal, The World Scientific Journal and Journal of Nanotechnology and Smart Materials. 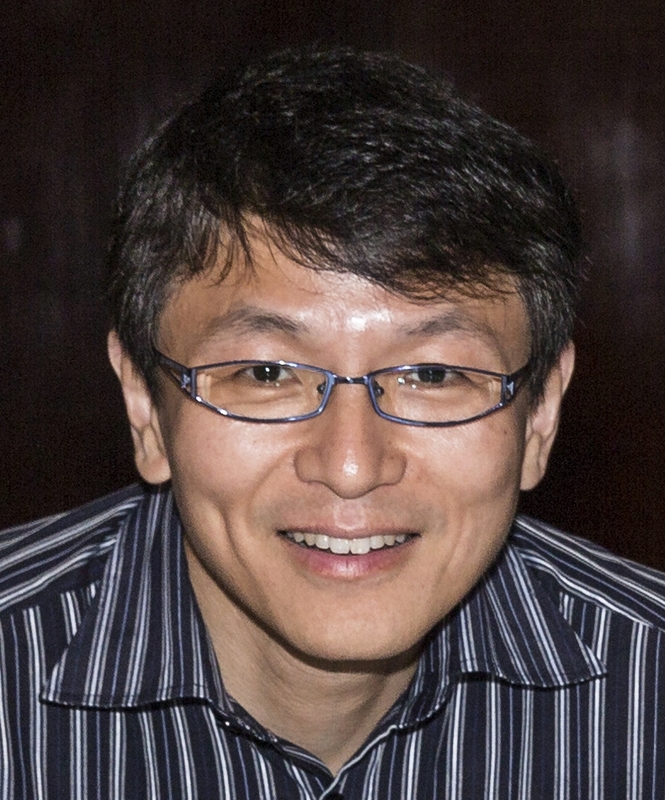 Dr. Paul S. Ho is the Director of the Laboratory for Interconnect and Packaging at The University of Texas at Austin. He received his Ph.D. degree in physics from Rensselaer Polytechnic Institute. In 1991, he joined the faculty at The University of Texas at Austin and was appointed the Cockrell Family Regents Chair in Engineering. He has 20 years of industrial experience working at the IBM Thomas J. Watson Research Center, New York. His current research is in the area of materials, processing and reliability study for interconnect and packaging for microelectronics. He has published extensively and held 14 U.S. patents. He has received several awards and honors, including the Michel Lerme Award from the International Interconnect Technology Conference in 1999, the Thomas D. Callinan Award of the Dielectric Science and Technology Division of the Electrochemical Society in 2001, and the University Research Award from the Semiconductor Industry Association in 2007. He is a Fellow of the American Physical Society, the American Vacuum Society and the Institute of Electrical and Electronics Engineering. Dr. Han studied chemistry for 7 years from 1993 to 2000 in Changchun University and Science and Technology and Jilin University, respectively, for his bachelor and master degrees. After that, he moved to Tsinghua University where he was conferred doctor degree in the field of materials science and engineering in 2004 under the supervision of Prof. Jianbao Li. His doctoral thesis focuses on the preparation and properties investigation of cermet anode and porous ceramics. Immediately after his graduation, he went to Japan, Nagoya Institute of Technology and worked there as a postdoctoral researcher for more than 3 years under the supervision and collaboration with Prof. Minoru Takahashi and Prof. Masayoshi Fuji. His research in Japan mainly focuses on the synthesis of hollow particles by bubbling template method which was proposed by his group. In 2007, he was awarded Alexander von Humboldt fellowship and went to Germany, Max Planck Institute of Colloids and Interfaces, Golm where he worked with Prof. Helmuth Möhwald and Dr. Dmitry Shchukin in the project of sonosynthesis of protein containers for controlled drug release. In 2011, he succeeded in the application of Hundreds Talent Program from Chinese Academy of Science (CAS) and joined in the Institute of Process Engineering, CAS in the group of EMMS. His current research interest is the controlled synthesis of functional materials via diffusion and reaction. He has published 61 peer-reviewed papers and 4 patents. His papers have been positively cited nearly 500 times by other researchers. Besides, he is serving as Editorial Board of Journal of Encapsulation and Adsorption Sciences, Materials Science, Journal of Nanotechnology and Smart Materials and Journal of Materials Science and Chemical Engineering. Fundamental studies in the interdisciplinary areas of bio/nanotribology/nanomechanics and nanomaterials characterization in bio/nanotechnology and biomimetics with a focus on scanning probe techniques. Dr. Reza Shahbazian-Yassar is an Associate Professor in the Department of Mechanical Engineering and Department of Materials Science and Engineering at Michigan Technological University. He received his PhD (with honor) in Materials Science from Washington State University in Pullman, WA, in Dec 2005. He completed his BS (with honor) and MS in Materials Science and Engineering from Sharif University of Technology in Tehran, Iran. Prior to joining Michigan Tech, he was a post-doctoral research fellow at the Center for Advanced Vehicular Systems at Mississippi State University. He also spent summer 2004 as a research intern at the Division of Materials Research at Alcoa Technical Center in Pittsburgh, PA. Prof. Shahbazian-Yassar is the current Chair of the Advanced Characterization, Testing, and Simulation (ACTS) Committee at The Materials Society (TMS), which oversees a number of activities, and sessions at three international conferences per year (ICOTOM, MS&T, and TMS). He also served two years as the chair of Microstructure and Texture Committee of American Society of Materials (ASM). He is also a member of Editorial Board for Metallurgical and Materials Transactions A, and has served as ad hoc reviewer for more than 13 journals in the field of materials and mechanical engineering (ACS Nano, Chemistry of Materials, Nanotechnology, etc). Dr. Shahbazian-Yassar has delivered more than 20 invited talks and has organized symposiums in several international conferences including TMS 2013, TMS 2012, TMS 2011, TMS 2007, and ISDT 2009. He has served as a Guest Editor for two special issue journals: Journal of Materials Research (2011) and Materials Science and Engineering A (2008). Dr. Yassar has also served in 12 review panels for Division of Materials Research (DMR), Civil, Mechanical and Manufacturing Innovation (CMMI), Chemical, Bioengineering, Environmental, and Transport Systems (CBET), and Small Business Innovation Research (SBIR) programs of NSF. Electrochemical Energy Storage and Conversion Systems (Rechargeable Batteries, Proton Exchange Membrane Fuel Cells), Piezoelectric Energy Harvesting Nanogenerators, Nanomaterials for Nanoelectronics, and Biomaterials. Dr Mohammad Halali obtained my degree and PhD from Department of Materials, Imperial College, London, in 1989 and 1993 respectively. From 1993 to 1997 he was an academic member of staff at the Department of Materials, Imperial College and also engaged in industrial and engineering projects as a consultant. Since 1998 he have been an academic member of staff at the Department of Materials Science and Engineering, Sharif University of Technology, Tehran, Iran. He am also Chairman of “No-Pajhoohan Sharif” company, specializing in the development of iron and steel industry. Prior to commencing the degree course at Imperial, He was trained and employed by BP Shipping as a marine engineering officer, where I served for just more than four years. Metals and alloys extraction and refining with special interest in designing fluidized bed furnaces and different methods for the production of DRI, synthesis of metallic and alloys nano-particles using electromagnetic levitation gas condensation technique. Dr. Gyeong S. Hwang is a professor of chemical engineering at the University of Texas at Austin. He holds the Lyondell Endowed Faculty Fellowship in Engineering. He received his Ph.D. in Chemical Engineering (with M.S. in Applied Physics) from California Institute of Technology in 1999. Prior to joining the faculty of UT-Austin in Summer 2001, he was the F.M. Becket Fellow of the Electrochemical Society at the Max Planck Institute, Stuttgart, in Germany, and a research staff at the Materials Process and Simulation Center of California Institute of Technology. He has published more than 150 peer-reviewed journal articles, and has been granted 4 US patents. He has received several awards and fellowships including: Lyondell Endowed Faculty Fellowship in Engineering (2007, UT-Austin), Myron L. Begeman Fellowship in Engineering (2005, UT-Austin); Faculty Early Career Development (CAREER) Award (2005, NSF); and F.M. Becket Memorial Award (1999, ECS). His current research has a well-balanced emphasis on fundamentals and applications, ranging from first principles studies of surface chemistry, bulk dynamics and interfacial interactions to multiscale, multiphysics modeling of engineering problems encountered in the fabrication of nanoscale electronic, photonic and energy devices. Deren Yang, a Cheung Kong Professor, is the director of the State Key Lab of Silicon Materials and Semiconductor Materials Institute at Zhejiang University in China. He received his Ph. D. degree in 1991 and his bachelor in 1985 from Zhejiang University, and then has worked there. In 1990’s, he worked in Japan, Germany and Sweden as a visiting researcher. In 2000, he was promoted by Ministry of Education of China as a Cheung Kong Professor. He received the National Science Fund for Distinguished Young Scholars in China in 2002, and won Award of Chinese Young Science and Technology in 2006. He has engaged in the research of silicon materials used for microelectronic devices, solar cells and nano-devices. He has authored 13 books as an author or co-authors including 5 books in English, and edited 5 proceedings of the international conference. He has published over 550 research papers in international peer reviewed journals, such as AM, Nano Lett. JACS, APL, PRB and et al, with the total of over 7100 citations. His H index is 40. He also holds 86 patents. In the past, he chaired or co-chaired 13 international conferences/symposia and was appointed as the member of international committee of 40 international conferences. He also presented more than 44 invited talks in international conferences. He also is the editors of 8 journals including 3 international journals. He is vice director of China Photovoltaic Association, member of Expert team of Chinese Keystone Special Project, member of Expert team of Degree Committee of China, member of Board of Chinese Renewable Energy Association, member of Board of Chinese Crystal Association, member of SEMI China PV Committee , and chief scientist of a National key project for basic research of China. Silicon materials, including silicon materials used for integrated circuits, silicon materials used for solar cells, silicon based optoelectronic materials, nano-silicon and so on. Dr. Yun Hang Hu is Charles and Carroll McArthur Endowed Chair Professor at Michigan Technological University. Before joining Michigan Tech, he was a Senior Engineer at the ExxonMobil Research and Engineering Company and a Research Professor at the State University of New York at Buffalo. He received his Ph.D in physical chemistry from Xiamen University. He has published more than 110 papers in reputed journals, including Accounts Chem. Res., J. Amer. Chem. Soc., Angew. Chem. Int. Edit., and Advanced Materials. He was an organizer or co-organizer for more than 20 international symposia and an editor for three ACS series books. He is an editorial board member for 6 journals and is a reviewer for 54 reputed journals. He also serves as a reviewer for funding agencies in 6 countries. He was a program chair for the Energy and Fuels Division of the American Chemical Society (ACS) in 2012 and 2013. He has been elected as a chair of the ACS Energy and Fuels Division for 2015. He is a fellow of Royal Society of Chemistry (RSC). Gianfranco Pacchioni is Vice-Rector for Research Center at the University of Milano Bicocca. He received the degree in Chemistry at the University of Milano (1978) and the Ph.D. in Physical Chemistry at the Freie Universität of Berlin (1984). He has been working at the IBM Almaden Research Center in California (1987) and at the Technical University of Munich (1993). He received various awards including the Nasini Medal of the Italian Chemical Society (1994), the National Price “Federchimica” (1996), the Alexander von Humbold Award (2005). He is Fellow of the European Academy of Sciences (2009) and of the Academia Europaea (2012). He has been Chairman of the COST Action “Inorganic oxide surfaces and interfaces”, of the Panel PE5 of the European Research Council for the Advanced Grants, of the Theoretical and Computational Chemistry Division of the Italian Chemical Society (2011-2013). Electronic structure and the theoretical description of oxides (bulk, surface, thin films), of supported metal clusters and their role in surface chemistry, catalysis, photocatalysis and energy production. 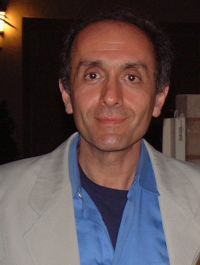 Gianfranco Pacchioni is author of more than 400 papers with about 15000 citations (h-index: 67) and has given about 300 invited talks at international conferences and research institutions. Professor Guodong Qian received his B.Sc. (1988) and M.Sc. (1992) in Materials Science and Engineering from Zhejiang University. He joined the Department of Materials Science & Engineering of Zhejiang University after obtaining his Ph.D. from the same University in 1997. He has been Visiting Scholar and Visiting Professor at Hong Kong University of Science & Technology, China, and at Kyoto University, Japan. He was promoted to full professor and Distinguished Scholar in 2002 and 2011, respectively. Professor Qian is the coordinator of many national projects and the author of more than 150 scientific papers. In 2001, he was awarded the National Excellent Doctoral Dissertation of China, Fok Ying Tung Education Foundation for Young Teachers and Trans-Century Training Programme Foundation for the Talents by Ministry of Education, respectively. He was the winner of National Science Fund for Distinguished Young Scholars in 2006. His current research interests include hybrid organic-inorganic photonic materials (solid tunable laser media, luminescence materials and nonlinear optical materials); cathode composites for Li-S rechargeable batteries; metal-organic frameworks (MOFs) for the sensing, storage and separation. Hybrid organic-inorganic photonic materials (solid tunable laser media, luminescence materials and nonlinear optical materials); photonic glasses; metal-organic frameworks (MOFs) for the sensing, storage and separation. Jiang-ping Tu received his BS and MS degree in physical metallurgy at Shanghai Jiaotong University and Zhejiang University, respectively. He obtained his Ph. D in 1994 from the Department of Materials Science and Engineering at Zhejiang University, China. From 1998 to 2000, he worked as a Japan Society for the Promotion of Science (JSPS) research fellow at the Department of Chemical Engineering of Hiroshima University, Japan. Since 2000 he is a full professor in Department of Materials Science and Engineering at Zhejiang University, director of Key Laboratory of Advanced Materials and Applications for Batteries of Zhejiang Province. His main research interests are the fabrication and properties of electrode materials for Li-ion and other rechargeable batteries, nancomposite films or coatings. He has 336 publications cited by SCI (H-Index =40) and 69 patents, and gains four prizes of science and technology of government. He is co-chair of ISFM 2007 (The 2nd International Symposium on Functional Materials), co-chair of MFMS 2008 (International Conference on Multi-functional Materials and Structures), member of International Society of Electrochemistry, and reviewer for ACS Nano, J. Mater. Chem., Nanoscale, Electrochem. Commun, J. Power Sources, Electrochim. Acta, J. Alloy. Compd., etc. Professor Ramesh K. Agarwal is the William Palm Professor of Engineering and the director of Aerospace Research and Education Center at Washington University in St. Louis. From 1994 to 2001, he was the Sam Bloomfield Distinguished Professor and Executive Director of the National Institute for Aviation Research at Wichita State University in Kansas. From 1978 to 1994, he worked in various scientific and managerial positions at McDonnell Douglas Research Laboratories in St. Louis. He became the Program Director and McDonnell Douglas Fellow in 1990. Dr. Agarwal received Ph.D in Aeronautical Sciences from Stanford University in 1975, M.S. in Aeronautical Engineering from the University of Minnesota in 1969 and B.S. in Mechanical Engineering from Indian Institute of Technology, Kharagpur, India in 1968. Over a period of 35+ years, Professor Agarwal has worked in various areas of Computational Science and Engineering - Computational Fluid Dynamics (CFD), Computational Materials Science, Computational Electromagnetics (CEM), and Multidisciplinary Design and Optimization. He is the author and coauthor of over 400 publications. He has also worked in Nanotechnology and Renewable Energy, in particular in nanoparticles properties, synthesis, and their applications in drug delivery and their health effects, and energetic materials for solar energy applications. He has given many plenary, keynote and invited lectures at various national and international conferences worldwide. Professor Agarwal continues to serve on many academic, government, and industrial advisory committees. Dr. Agarwal is a Fellow sixteen societies including the Institute of Electrical and Electronics Engineers (IEEE), American Association for Advancement of Science (AAAS), American Institute of Aeronautics and Astronautics (AIAA), American Physical Society (APS), American Society of Mechanical Engineers (ASME), Royal Aeronautical Society and American society for Engineering Education (ASEE). He has received many prestigious honors and national/international awards from various professional societies and organizations for his research contributions. Hao GONG is a Full Professor of Materials Science and Engineering at National University of Singapore. He is also the coordinator of the transmission electron microscopy laboratory at Department of Materials Science and Engineering. His research interests include transparent oxide conductors and semiconductors (n-type and p-type), energy storage materials and devices (mainly supercapacitors), energy harvest materials and devices (mainly solar cells), gas sensors, functional thin film and nano-materials, materials characterization (mainly on transmission electron microscopy and electron diffraction). Dr. Gong received his B.S. degree in Physics at Yunnan University in 1982. He passed his M.S. courses in Yunnan University, carried out his M.S. thesis research work at Glasgow University, UK, and received M.S. degree of Electron and Ion Physics at Yunnan University in 1987. He then did his PhD at Materials Laboratory at Delft University of Technology, the Netherlands, and obtained PhD degree there in 1992. He joined National University of Singapore in 1992, and is currently full professor at Department of Materials Science and Engineering. He has published about 200 refereed papers in major international journals and a few US patents. He has delivered several invited talks at international conferences. He has been chairman or committee member of several international conferences, and editor of special issues of some journals. Dr Jingsheng Chen is an Associate Professor in Department of Materials Science and Engineering. He obtained his Ph.D degree in 1999 in Lanzhou University, China and joined NUS in December 2007. During 2001-2007 he worked at the Data Storage Institute as a research scientist. He has authored/co-authored more than 180 refereed journal papers, 3 book chapters, holds over ten patents and has made a number of presentations at international conferences. Nanostructured magnetic materials for information storage and spintronics. Magnetic memories with low power consumption. High saturation flux density magnetic cores for on-chip inductor in power converter application; Development nanostructured hard magnetic materials for microgenerator and energy harvester. Dr. Peng is currently assistant professor of MSE at Clemson University. He received the Ph.D. at Georgia Institute of Technology, and M.S. and B.S in Tsinghua University. Prior to joining Clemson University. Dr. Peng has extensive ceramic materials research experience. He has published 23 peer-reviewed journal papers, and is the leading author of several highly cited papers in his field. He also serves as a reviewer for journals such as the Journal of the American Ceramic Society, The Journal of European Ceramic Society, Journal of Materials Research, Thin Solid Films, Mechanics of Materials, and the ASME- Journal of Engineering Materials and Technology. Ceramic processing and properties, including ceramic nanofibers and composites, smart materials, thin film and coatings, sintering ultra-high temperature ceramics and the high-temperature oxidation resistance of borides and carbides. Sriram Muthukumar received his Bachelor's degree in Metallurgy from Indian Institute of Technology, Madras in 1997 and PhD in Ceramics and Materials Engineering from Rutgers University, New Jersey in 2003. He is currently employed at Maxim Integrated where he works on Sensors, MEMS and Wafer-Level-Packaging technologies and holds an adjunct position in the Materials Science and Engineering Department at University of Texas, Dallas. Prior to joining Maxim Integrated, Dr. Muthukumar was at Intel where he worked on 3D Interconnect solutions and Flip-Chip Packaging. His work has been reported in number of peer reviewed journals. Designing devices and integrated systems leveraging the properties and characteristics of materials at the nanoscale and using low cost-of-ownership manufacturing methods of multi-functional devices that impact such areas as sensing and diagnostics. Dr. Tae Jin Kim is an assistant professor of Chemical and Molecular Engineering and Materials Science and Engineering department at Stony Brook University. He received his Ph.D. degree in Chemical Engineering from the Lehigh University, Pennsylvania and M.S. and B.E. degrees from the Hong Ik University, Seoul, Korea. He worked at U.C. Berkeley from 2007 to 2010 and Argonne National Laboratory from 2010 to 2012 as a postdoctoral researcher. He has 1 U.S. patent, 1 book chapter and more than 20 journal papers. Dr. Tae Jin Kim's research intention is a development of catalytic methodologies that can control hydrocarbon-based reaction pathways. For developing biomass conversion to fuel and chemicals, he has been exploring the new catalyst development/catalyst active sites and providing reaction mechanism/intermediate molecular structures using in-situ and operando experimental conditions. He is currently serving as a director of the Catalysis Society of New York. Hetero/Homogeneous Catalysis, In-situ and Operando Spectroscopy, Combination of Experimental and Computational Methods. Dr. Ruoxue Yan is currently an assistant professor in Chemical and Environmental Engineering in University of California, Riverside. Prior to arriving at UCR, Yan was a postdoctoral fellow at Lawrence Berkeley National Laboratory, where she developed spectroscopic platforms to advance the fundamental understandings of the role of nanoscale interfaces in photocatalytic processes, such as artificial photosynthesis, at the molecular level. Yan received her Ph.D. in chemistry from UC Berkeley in 2010, with her doctoral research focusing on design, synthesis and fabrication of nano-materials for photonic applications. She demonstrated various nanowire-based photonic components and invented a single cell endoscopy where nanowire photonics was interfaced with living human cells for high-resolution imaging, spot cargo delivery and optical sensing at a single cell level. Her current research interests lie in synthesis, characterization and device implementation of advanced materials for biological and energy applications, with an emphasis on nanowire-live cell interface, nano-catalysis and solar energy conversion. Her current research interests lie in synthesis, characterization and device implementation of advanced materials for biological and energy applications, with an emphasis on nanowire-live cell interface, nano-catalysis and solar energy conversion. Dr. Choi received his PhD degree in 2009 from the Department of Mechanical Engineering at MIT. His doctoral research topic was the omniphobicity, i.e., repellency against all liquids, of textured solid surfaces. He then joined the Department of Chemistry and Chemical Biology at Harvard, where he worked on the behavior of two-phase complex fluids (one fluid dispersed in the other) in confined geometries. He is currently an assistant professor at the Department of Mechanical Engineering at the University of Texas at Dallas. His current research interests lie in understanding and manipulating the behavior of fluids at small length scales, e.g., 100 nm – 10 um, to address some of the key challenges in the areas of bio-inspired engineering and energy science. Compared to the macroscopic fluid mechanics, fluids at small scale possess a significantly higher surface to volume ratio. Consequently, interfacial phenomena (e.g., interfacial tension, surface charge, hydrophobic effects) dominate the behavior of various natural or synthetic fluidic systems at small scales. Applications that can benefit from an improved understanding in this area include filters, coatings, heat exchangers, and hemodynamics. Dr.Wahab is working as an Assistant Professor in the department of Zoology, College of Science, King Saud University, Riyadh 11451, Saudi Arabia. He received his Ph.D degree from Chonbuk National University, department of chemical engineering Jeonju South Korea in 2008, on the topic of Nano-biotechnological applications of metal oxides nanostructures. During his doctorate as well as in the post-doctoral period he published no. of paper in reputed journals on the topic of fabrication of nanostructures of metal and metal oxides such as ZnO, MgO, SnO2, CuO, Pt, Au and their applications such as in photocatalysis, hydrogen storage, microbiology, cell biology, DNA damage, biosensing etc. He has also received the best research award from Brain Korea 21(BK-21) during his Ph.D. he worked on several projects such as novel bio-devices by Nano-bio fusion technology and its application, solar cells etc. Beside these, He has a privilege to be a Chonbuk National University post-doctoral fellow on project Nano-Bio technological application of nanostructured materials during period of 2010-2011. His current research interest is nanobiotechnological applications of nano structures material for the antimicrobial and anticancer study. 	Treatment of cancer with the use of nanostructured materials. 	Synthesis of nanostructured materials for the nano-biotechnological applications. 	Application of Nanomaterials and their uses as an antibacterial agent. 	Primary and secondary cell culture, DNA interaction, Nanotoxicity. 	Functionalization of carbon nanotubes, semiconductor metal oxides nano structured materials and DNA modified electrode and its applications as a chemical and biochemical sensors. 	Application of Nanomaterials for photocatalysis and photovoltaic purposes. 	Fabrication of Biological and Chemical sensors with the use of nanostructured materials. Shalini Prasad received her Bachelor's degree in Electronics and Communication Engineering from University of Madras in 2000. She obtained her PhD in Electrical Engineering from University of California Riverside in 2004. Dr. Prasad's research interests are multi-disciplinary. They include Bio-Micro Electrical Mechanical Systems (Bio-MEMS), nano-devices and nano/biotechnology. Her work has been reported in number of peer reviewed journals and popular press. 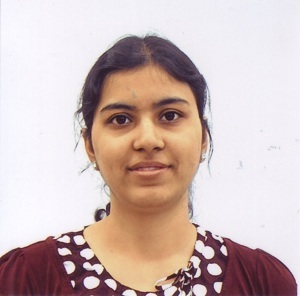 She is the recipient of a number of awards in the area of nano-biotechnology. Developing "lab-on-a-chip" based devices for sensing applications that impact such areas as medical diagnostics, the environment, and bio-defense applications. Dr. Walter Hu received the B.S. degree from Peking University, Beijing, China, in 1999, and the Ph.D. degree from the University of Notre Dame, Notre Dame, IN, in 2004. Then, he spent a year as a post-doctoral research fellow at the Department of Electrical Engineering, University of Michigan, Ann Arbor, MI. In September 2005, he joined the University of Texas at Dallas and currently an associate professor of the Department of Electrical Engineering. He has received National Science Foundation’s CAREER award in 2010, NSF AIR award in 2012, and Faculty Research Award of University of Texas at Dallas in 2013. He is a senior member of IEEE, a member of Sigma Xi, AVS, MRS, ACS, and SPIE. He is an active reviewer for many prestigious journals such as Nature Nanotechnology, Nano Letters, ACS Nano, etc. in the fields of nanostructures and nanofabrication. He is also an active reviewer for national funding programs such as NSF programs, US Civil Technology program, Israel National Technology program. Lithography, nanofabrication, and applications in semiconductors, medical and energy areas. He has published over 115 peer-reviewed journal papers and conference abstracts/papers, and filed 8 patent applications. Yizhi Meng is an Assistant Professor in the Department of Materials Science and Engineering at Stony Brook University. She received her Ph.D. in June 2003 from Cornell University, and received her postdoctoral training both at the Cornell Nanobiotechnology Center (2003-2005) and at the Department of Biomedical Engineering of Stony Brook University (2005-2008). She is currently also serving as an editorial board member for the Journal of Molecular Engineering and Systems Biology and the Journal of Bioceramics Development and Applications. BioMEMS, tissue engineering and drug delivery. Dr. Mohammad Islam is currently a Research Assistant Professor in the Department of Materials Science and Engineering at Drexel University in Philadelphia. Prior to Drexel Dr. Islam was an Assistant Professor at the American University of Sharjah, in the United Arab Emirates, better known as Dubai. Dr. Islam received his PhD degree from Columbia University Department of Applied Physics in 2003 and subsequently completed his post-doctoral fellowship at Pennsylvania State University. Dr. Islam’s research highlights include the first demonstration of electrophoretic deposition of nanoparticles resulting in nanoparticle arrays with atomic scale smoothness, first fabrication of nanoparticle based Lithium ion batteries with gravimetric capacities reaching almost the theoretical limit and first optical observation of a two dimensional electron gas (2DEG) in ultrathin (1-10 nm) perovskite films. He has published in a diverse range peer reviewed journals including Applied Physics Letters, Chemistry of Materials, Nano Letters, Nature Materials, Nanotechnology, Journal of Physics: Condensed Matter, and Advanced Functional Materials. synthesis, characterization and device implementation of nanomaterials for energy applications with an emphasis on Solar cell fabrication using nanoparticle heterostructures, Lithium ion batteries and understanding ionic transport at the nanoregime, known as nanoionics. Dr. Islam is also interested in two dimensional nanosystems composed of epitaxial films of ABO3 Perovskites and their interfacial phenomenon, including insulator to metal (MI) and charge ordering (CO) transitions. Dr. Ashutosh Goel obtained his Ph.D. in the area of glasses and glass-ceramics from University of Aveiro, Portugal in December 2009. His doctoral work was focused upon high temperature glass/glass-ceramic seals for solid oxide fuel cells. After obtaining his doctoral degree, he worked as a postdoctoral researcher (January 2010 – March 2011) in the research group of Prof. José M.F. Ferreira at University of Aveiro in the field of bioactive glasses and glass-ceramics for bone tissue engineering. During March 2011-April 2012, he worked as a ‘Glass Scientist’ at Pacific Northwest National Laboratory, USA in the area of immobilization of high-level and low-activity radioactive wastes in glasses. At present, Dr. Goel is working as a ‘Senior Scientist’ at Sterlite Technologies Ltd., India in the area of optical fibers. He will be joining the Department of Materials Science and Engineering, Rutgers-The State University of New Jersey, USA as a faculty member starting from January 1, 2014. Dr. Goel is an author/co-author of 50 research articles in the area of glass science published in various international journals. He also holds 1 patent in the area of bioactive glasses for bone regeneration; reviewer to >20 international journals and has presented his research work in various international conferences in the form of oral/invited talks. Dr. Mejia was born in Mexico City, Mexico in 1981. He received his undergraduate degree in Electrical Engineering from the “National Polytechnique Institute” in Mexico City in 2003 with distinctions. He received his Masters and Ph. D Science degrees from CINVESTAV-­‐Mexico City in 2006 and 2010, respectively. During his Ph. Dr. Mejia worked with the modeling, simulation and fabrication of thin film transistors (TFTs) using organic materials and a-­‐Si:H. In 2010, he joined The University of Texas at Dallas (UT Dallas) as a Research Scientist. He has published more than 35 papers in peer-­‐reviewed journals and conference proceedings, and holds two U. S. pending patents. He has been leading the design and analysis of novel semiconductor devices to integrate four main projects at UT Dallas: novel device integration schemes, DRAM 1T1C technology, pixel arrays for large area charged particle and neutron sensors, thin film transistors (TFTs) technology and energy harvesting. Design, fabrication and characterization of novel electronic devices using alternative materials to silicon towards their implementation in low-­‐cost, flexible and large area electronics applications. In particular, the study of novel organic/inorganic semiconductors for their use in diodes, solar cells, sensors, thin film transistor (TFT) and complementary transistor (CMOS) circuits. Also, the modeling and simulation of semiconductor devices using electronic design automation (EDA) and technology computer aided design (TCAD) tools such as ATLAS, ATHENA, SPICE, etc.